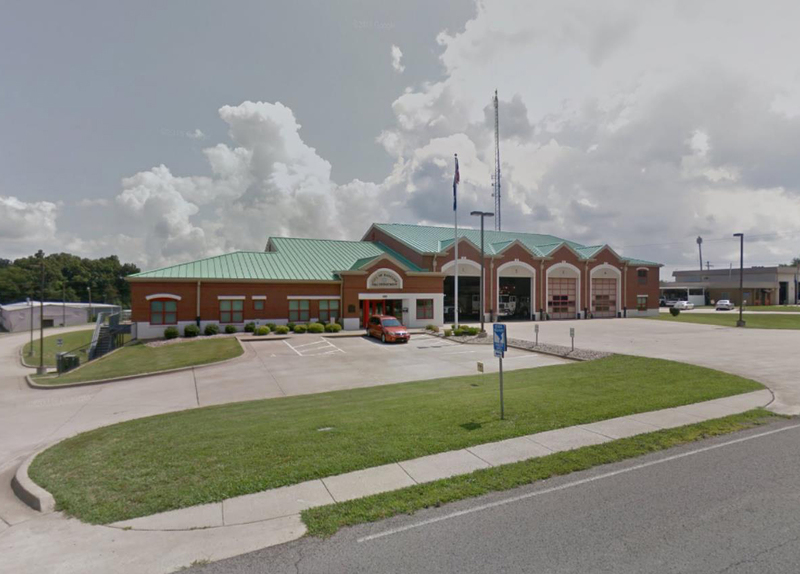 The Radcliff, Kentucky Fire Station Headquarters is a contemporary fire station with design references to the historic firehouses. The design reflects the aesthetics and craftsmanship of the Seagrave fire trucks that the station contains. The brick masonry of the station includes accents in white salt glazed brick, and stretcher course “striping” in red salt glazed brick, recalling the glossy white trucks with red lettering. The glazed white brick arched portals and glass overhead doors frame and showcase the trucks as integral parts of the building elevations. The 23,000 square foot station includes four double depth drive-through bays, partial basement, training room, offices, day room, kitchen, bunk room for 24-hour professional staff, weight room, game room, turn out room and community emergency command center facilities.